As Formula 1 embarks on its summer break, we crunch the numbers from our driver ratings so far this season - who's leading the way, and who's underperforming? Formula 1's summer break is a natural time to review the season so far and take stock of the performances we have seen across the course of the opening stint, stretching from Australia to Hungary. One of the new features in Crash.net's F1 coverage this season has been the post-race driver ratings, giving each driver a score out of 10 to reflect their performance over the weekend. With 12 races down, we've crunched the numbers and worked out an average score for the drivers across our ratings, giving us an idea of who's been hot and who's not so far in 2018. There's little surprise that the man leading the F1 drivers' championship also has the highest average rating so far this season. With five wins and a 24-point advantage in the title race, Lewis Hamilton is in good shape for a fifth world title this year. His form heading into the summer break has been particularly potent, dropping just seven of the last 75 points on offer, as well as boosting his rating. Snapping at Hamilton's heels in the average ratings is Ferrari's Sebastian Vettel, who looked poised to enter the summer break leading the championship before crashing out while leading in Germany and then being caught out by wet qualifying in Hungary. The Ferrari SF71H looks strong, so should put him in a position to fight for the title come the end of the season - so long as more slip-ups such as those seen in the last couple of races are avoided. Despite not winning a race, Valtteri Bottas has been a very consistent performer this year, coming close to victory in both China and Baku. The Finn has scored lower than seven just once since Australia, combining with teammate Lewis Hamilton to give Mercedes a 10-point lead in the constructors' championship heading into the summer break. Haas' pace has been one of the surprise stories of the F1 season so far, with Kevin Magnussen leading the team's charge. Magnussen has regularly featured in the points this season, taking a best finish of P5 in Austria, and arguably deserved more had it not been for setbacks in Australia, Azerbaijan, and Germany. Fernando Alonso may consider himself to be a 9.5 in most areas, but he's only a 7.3 for us. It's still pretty good going given McLaren's form this season, with Alonso regularly outstripping the car's potential to drag it up into the points. He's finished in the top 10 every time he has seen the chequered flag this season, recording a best finish of fifth at the season-opening race in Australia. 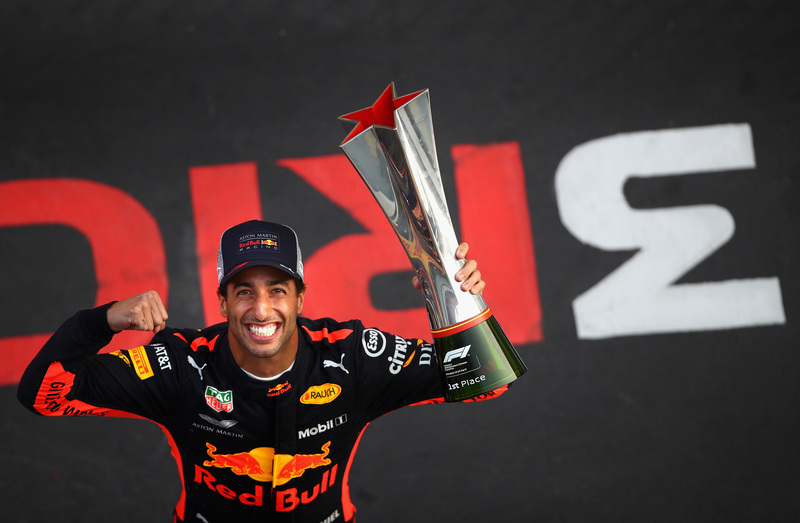 Daniel Ricciardo looked to be in the hunt for the title after taking his second win of the season in Monaco in May, but his form has since tailed off to leave him almost 100 points back from Hamilton in the standings. Ricciardo boldly battled his way to victory in China after Red Bull nailed its strategy before crushing the field in Monaco, but was more anonymous in races such as France and Silverstone. Reliability has not been his friend either this year, having racked up four DNFs in the opening 12 rounds. The leading midfield driver in the points standings at the summer break, Nico Hulkenberg has spearheaded Renault's charge so far this season. Hungary was the first race he's finished where he's not been in the top 10, with his high points coming at Silverstone and in Germany, the latter being his home race as he took an excellent P5. While the wait for his first podium continues, he's looking increasingly likely to capitalise should the chance arise in 2018. It's been a decent start to the season for Kimi Raikkonen, who has eight podium finishes from the opening 12 races. But once again he's failed far too often to match Ferrari teammate Vettel for pace, even if his performances are improved on those in recent years. Could his five-year win drought finally end this year? Given how good Ferrari's car is, this is most likely his best opportunity yet to kill it off. Charles Leclerc may be hyped up as F1's brightest rookie, but it's Pierre Gasly who's the leading debutant in our mid-season ratings. Gasly has taken full advantage of the few opportunities that have come Toro Rosso's way this year, maximising its points potential in Bahrain, Monaco, and Hungary. He's proven himself to be a master of tyre management even when the team has been struggling down the order. The future's looking very bright for Gasly. Gasly may be the leading rookie, but that shouldn't do anything to underplay Leclerc's achievements this year. After a rocky three races as he adapted to life in F1, Leclerc has since been outstanding - discounting Australia, Bahrain, and China, his rating shoots up to 7.55. Leclerc has regularly surprised the paddock with his displays in both qualifying and the race, adding to the case for him to get a Ferrari seat for next year. Max Verstappen may have a race win under his belt and sit just 13 points back from teammate Daniel Ricciardo in the standings, yet his average rating is dragged down by his sloppy start to the season. It took until Canada for him to have a clean race weekend as crashes and incidents marred the opening six races for the Dutchman, but he has since been highly impressive, snatching a great victory in Austria. It's been a tough start to the season for Force India, which started the year dawdling at the lower end of the midfield, but the team has since made big strides with Perez leading the way. He grabbed a shock podium in Baku and impressed in Austria and Germany, and has been pretty solid all season long. Sainz has never rated lower than a six this season but isn't in the top 10 as there have been too many 'just six'-es. When chances have arisen for Renault, it has been teammate Nico Hulkenberg who has seized the moment. Sainz's best chance to star came in Hungary after he qualified fifth, only to slip down to ninth come the finish. There have been opportunities, but he's needed to make more of them. Like Perez, Esteban Ocon struggled with the Force India car in the early part of the season before running well through the summer European leg, but is still yet to finish any higher than sixth this year, scored in Monaco and Austria. But he's still not sitting at the front of the midfield pack when chances do come about, something he needs to do more if his rating is to inflate through the second half of the season. While Kevin Magnussen has starred this year for Haas, teammate Romain Grosjean has struggled to take advantage of the great opportunities that have come the team's way. Point-less until Austria, Grosjean crashed out under the Safety Car in Baku while running sixth and also had high-speed smashes in Spain and Great Britain, leading to question marks over his future. Saving graces have been a charge to fourth in Austria - Haas' best F1 result - and sixth in Germany. A decent start to the season for Marcus Ericsson, with three forays into the points, the highlight being a superb strategic rise to ninth in Bahrain. He's still lacked the outright pace of teammate Leclerc, outqualifying him just once since Bahrain, but has arguably enjoyed his best opening half of a season yet in F1. 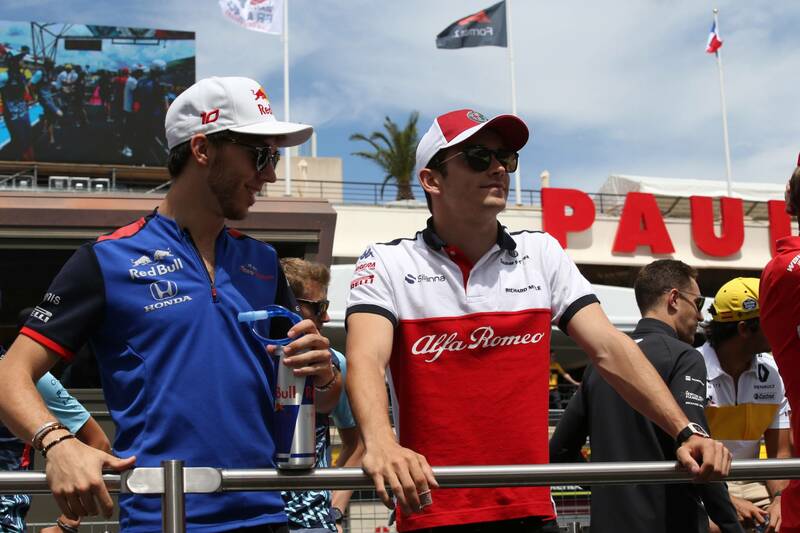 If Sauber can continue to develop, he may be a more regular feature in the points through to Abu Dhabi. A very up-and-down start to the season for Brendon Hartley, who has been under plenty of pressure regarding his future. Hartley scored his first point in Baku after benefitting on some late drama and picked up another in Germany, but it was not until Hungary he arguably enjoyed a completely clean weekend (and even then, he could only finish 11th). While teammate Gasly had capitalised on every chance that has come Toro Rosso's way, Hartley has struggled to do the same. He'll need to change that through the second half of the year. Stoffel Vandoorne may have a tough time of it at McLaren going up against Fernando Alonso, but even so, he's really struggled this year. A chassis issue meant his summer form was compromised, but even so, no points since Baku and a best finish of eighth this year is well below par for what would be expected at any midfield team, let alone McLaren. He's in a fight to save his F1 future. Williams' form this year has made it near-impossible for its drivers to shine, with Lance Stroll scoring its only points in Baku after rising to eighth through the late drama that ensued there. 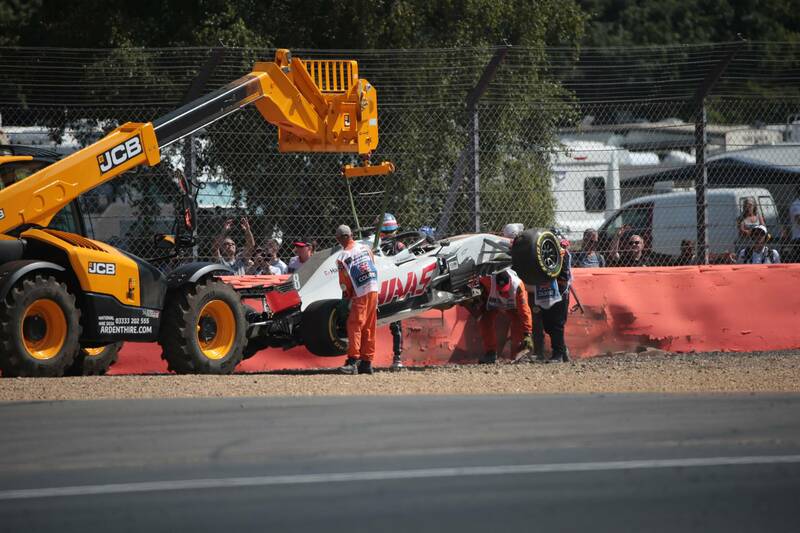 It may end being the team's only points of the year, with few signs suggesting it will be able to rise off the bottom of the constructors' standings between now and the end of the season. Like Stroll, F1 rookie Sergey Sirotkin has struggled to impress in the Williams FW41 car, and is the only driver yet to score any points this year. He's been a decent match for his teammate considering the added year of F1 experience Stroll has, but he's not yet done anything of note. His best chance of points came in Baku after he qualified 12th, only to then retire after being hit on the opening lap.